A new home base for the Eta Pi Chapter! In February 2016, the College of Nursing moved in to our newly remodeled spaces in the Clow building on the UW Oshkosh campus. 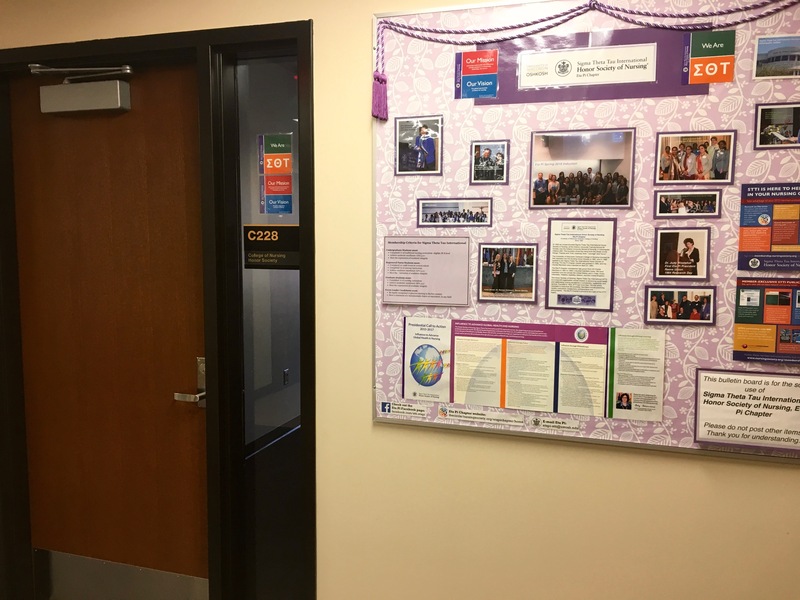 The Eta Pi Chapter is excited to have our very own dedicated room (Clow 228) on the 2nd floor next to the College of Nursing Research Center. Here we can have chapter meetings and events, and can house and display the historical Eta Pi items and records that we have accumulated since the Eta Pi Chapter was chartered in 1984. If you are an Eta Pi member and want to become more involved in our chapter, please write to us at: etapi-stti@uwosh.edu It is an exciting time for our chapter, and the Eta Pi chapter board is motivated and enthused!